Re: Sunglasses holder for etag? Have not tried anything like that, however, How do the Sydney systems work? Up here the tag is registered to the number plate, if you have an account and a tag if the tag does not register the rego plate ID matches the account and then it's charge normal rate + 50c I think. So, if your system is the same, put it in there and see if it does work. that's what I'd do if I wanted to test it. Correct you are Beerman . Beerman? You been skipping your meds again Mick? If only, No unfortunately not skipping them , just another side effect F-up. It's OK Mick I got Karma last night! I went to a 45 years school reunion last night and called a "girl" I went through Primary and High School with by her older sister's name.. Whoops! Hi Mate, if I were you, i'll make a trip to the Service NSW, and swap the eTag. The newer version is the size of 2 10c coins side by side long and pretty slim. So easy to put under the rear mirror out of sight. I replaced both of my cars not long ago - just walked in, get a ticket and get 2 new one all free. 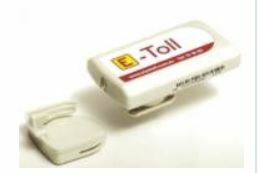 If you are using one of those private company eTag, then you should switch to Service NSW eTag, there are no annual fee. If it's the older style eway tag, maybe just report it as faulty & get it swapped for a new replacement. Either call into the M5 office @ toll plaza or get new one posted out. They supply a return bag for sending back. I got a new one not long ago. About that size. Only problem is although it beeps (my wife can hear it), I can't even with my hearing aids turned up hear anything. I can hear the one on her car and my daughter's no trouble. An enquiry produced the response that they're all like that now. Anyone else noticed a difference in the beep volume of the new smaller units? Yeah, the beeping is not as loud on that small unit, yet since it is linked to my car and my bank account, Service NSW will notify you if any issue arise with the tag, so now i just not worry about it anymore. PS: Got an email from ServiceNSW when one of my tag failed to informed me that it didnt work went in and got it replaced, they then refund all the extra charges. - the Sunglasses holder by the rear view mirror doesn't work btw. At least it didn't work for me through the harbour tunnel.